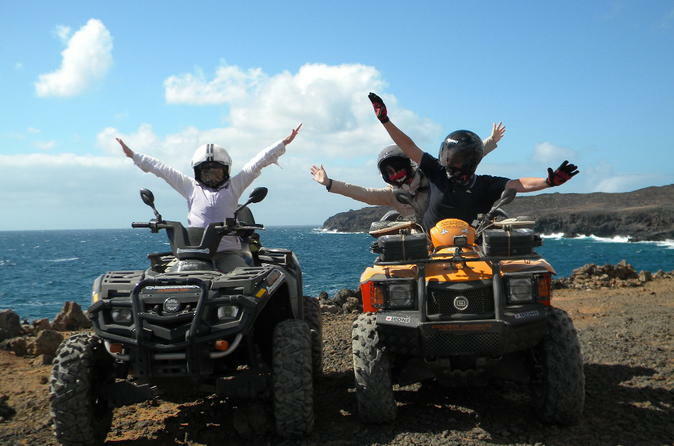 Leave the beaches of Fuerteventura behind for an exhilarating outdoor adventure on this buggy or quad bike experience, led by an expert guide. Choose from a 2, 3- or 4.5-hour tour, then travel to the north of the island to begin your thrilling ride. Race through the otherworldly, lunar landscape, exploring unknown territories around the base of the island’s volcano chain. Then, make your way to the coast. 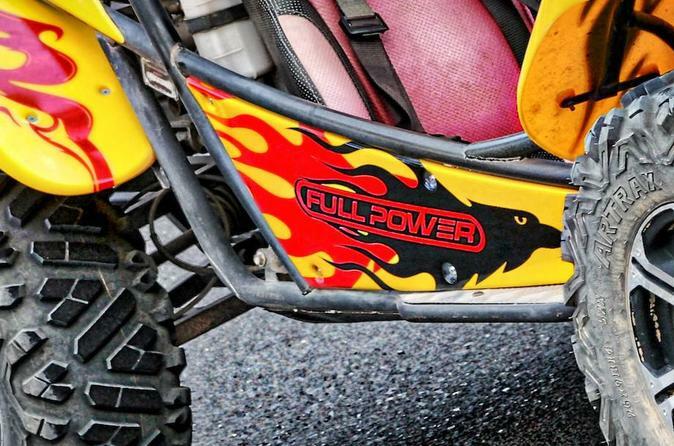 Soak up the incredible views and hit the throttle as you zoom up and down towering sand dunes. Numbers limited to 10 people, ensuring a small-group experience. 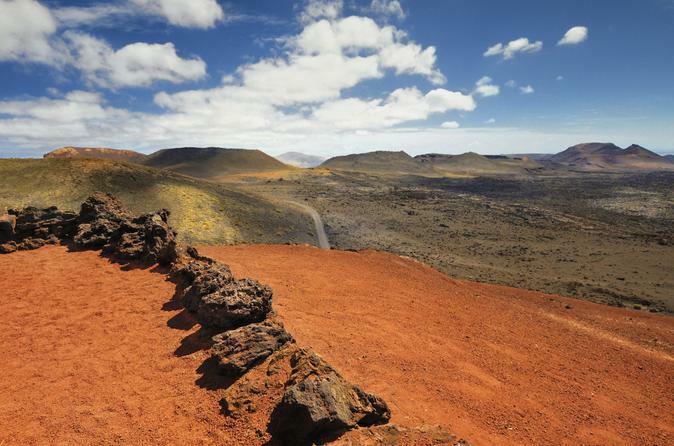 Be enchanted by Lanzarote’s lunar landscape and rich natural beauty on this full-day trip from Fuerteventura. With a local guide leading the way, ride along the Route of the Volcanoes and get up close to the awe-inspiring Fire Mountains at Timanfaya National Park. Marvel at the beauty of the lava-carved west coast and the green lagoon at El Golfo, then relax over a delicious lunch before sampling a glass of local wine in La Geria. 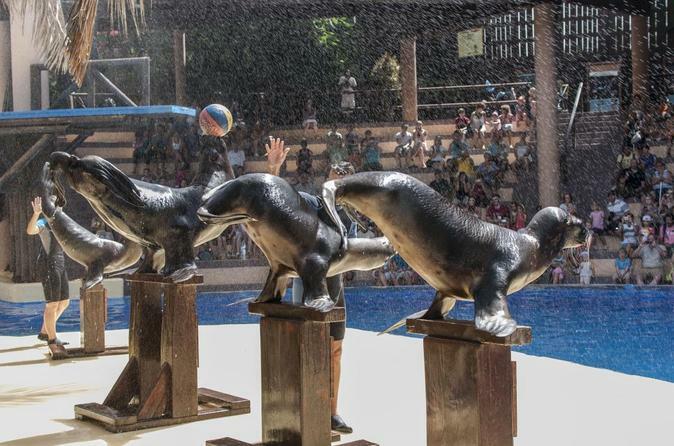 End your tour with free time at Jameos del Agua, a swanky cave-turned-resort on the coast. Discover the stunning landscapes, breathtaking beauty spots and sleepy villages of Fuerteventura on this full-day trip, led by a local guide. Journey along the island’s mountain roads, soaking up views of rolling volcanic hills, cacti and goat farms. Visit the quintessential villages of Betancuria, the former capital, and Pajara, and enjoy free time to explore at your leisure. Then, visit an aloe vera factory where you’ll learn about the many uses of this famous plant before ending your tour at the beautiful Corralejo Natural Park. 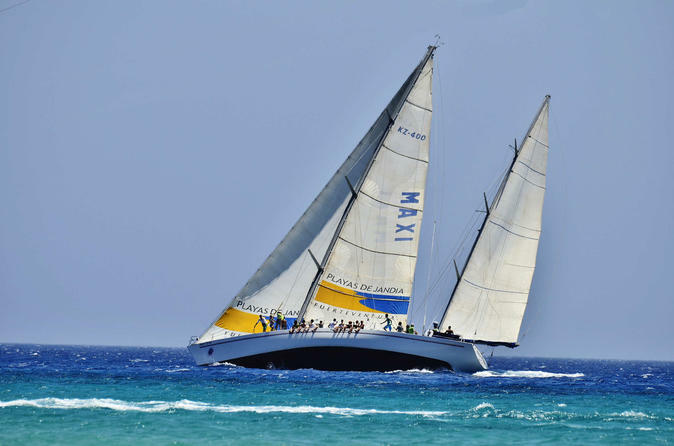 4 hours tour around the Island of Lobos on a modern catamaran. 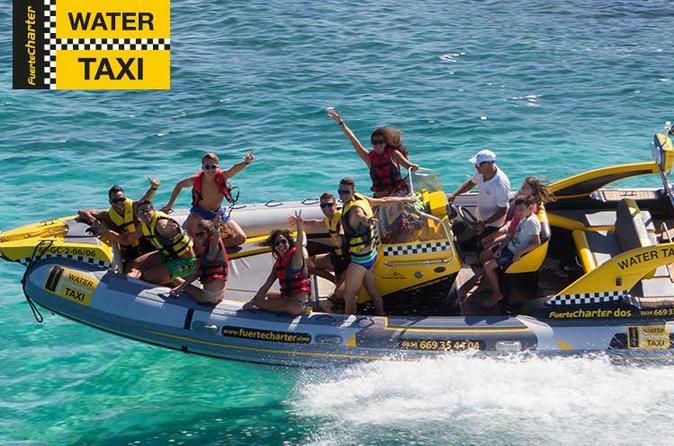 Includes speedboat ride to the Island of Lobos, lunch in the morning excursion and cava and fruits in the afternoon, drinks (soft-drinks, water, beer, wine, coffee and tea) , snorkelling, SUP, kayak, trolling fishing, free downloadable photos. 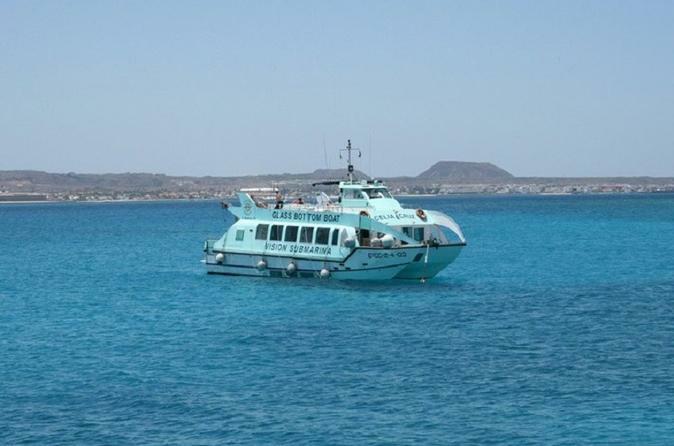 The water taxi to Los Lobos brings you in a short time from Corralejo to Los Lobos what is proxi. 2km away. daily taxi from and to corralejo and the harbour of Los Lobos. 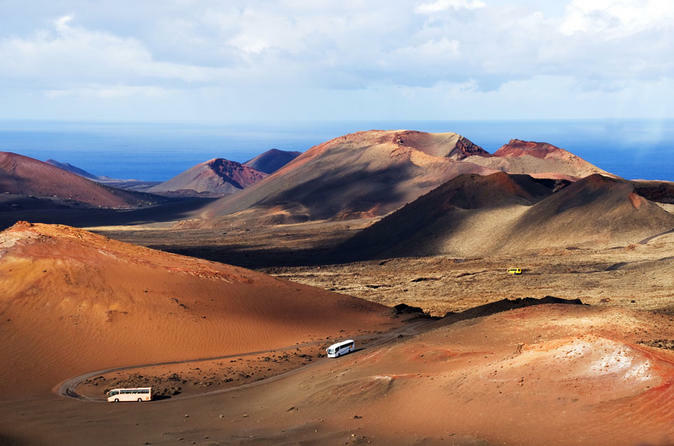 Uncover the incredible landscapes and natural phenomena of southern Lanzarote on this full-day trip from Fuerteventura. 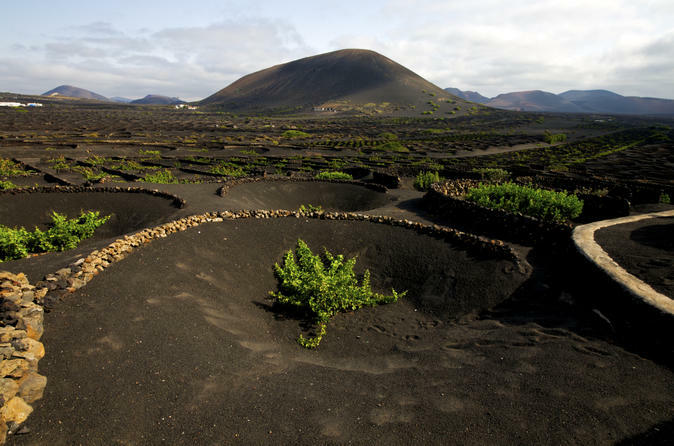 With an expert guide at your side, trek across the jagged, volcanic terrain at Timanfaya National Park. 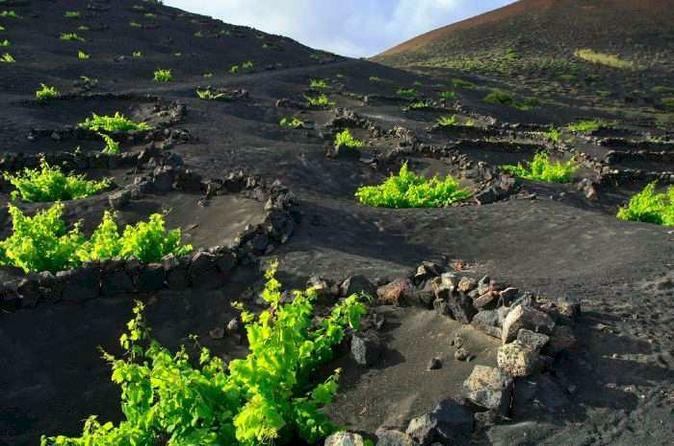 Then, visit a local winery in the island’s winemaking region of La Geria before working your way along the lava-carved west coast, seeing incredible natural wonders such as the green lagoon at El Golfo and Los Hervideros grottoes. 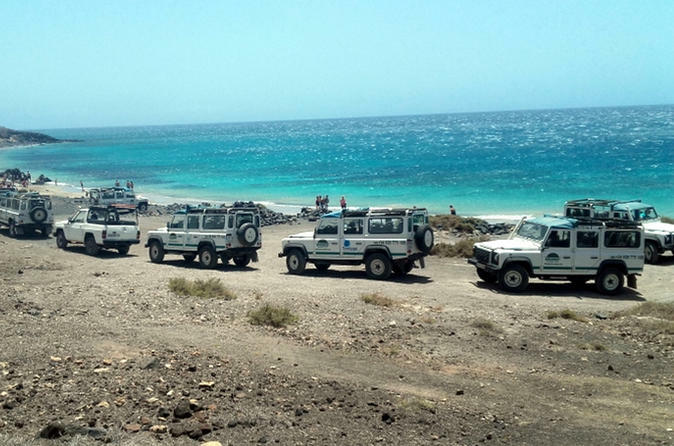 This 4x4 safari through Fuerteventura’s southern villages, the coast, the famous Villa Winter and Cofete Beach will defenitely be a highlight of your vacations. 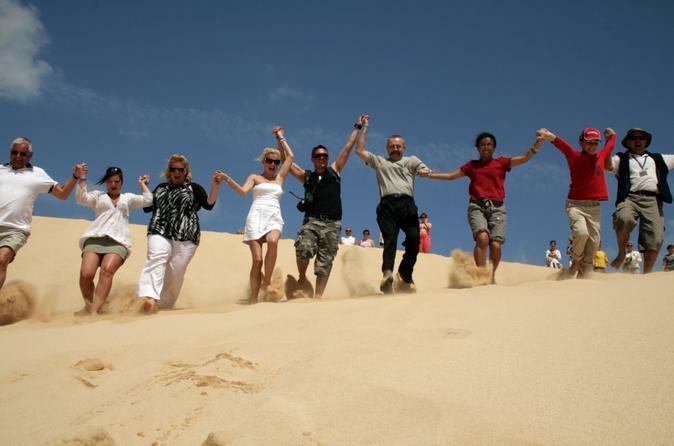 Dune Buggy’s famous North Tour Buggy excursion is a day trip to remember. 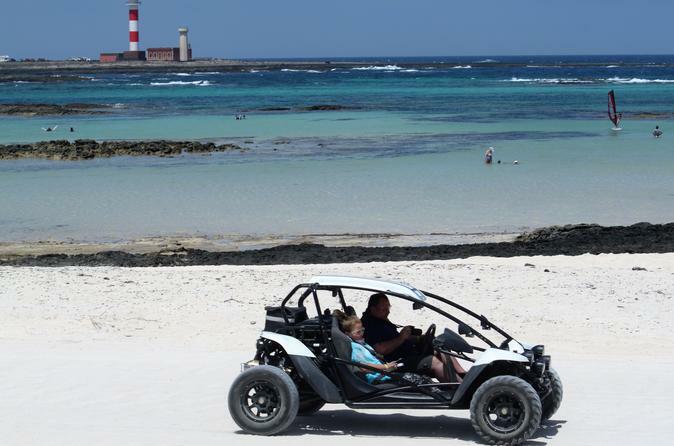 An assault on your senses combining the thrill of driving our state of the art white buggies, a varied look at the natural wonders of the island & you’ll visit some of the best tourist beauty spots of Fuerteventura. From Corralejo we drive you’ll encounter volcanoes, hills and valleys, sea cliffs and light house El Toston, with snow alike white sandy beaches. 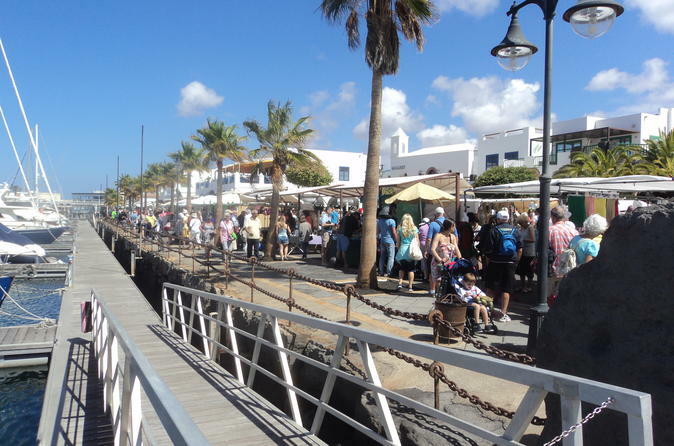 Stop in El Cotillo to explore the village and get something to eat. Last stop at Majanicho, white sand beach and blue natural pools fishing village, characterized by simple blue and white huts. 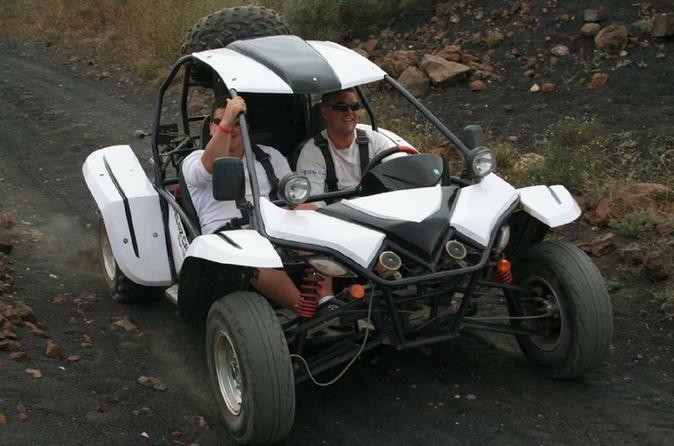 Embark on an exciting Dune Buggy Tour in Fuerteventura. Enjoy a 6 hour tour starting from Costa Calma and stop by wonderful locations such as La Lajita, Marco Sanchez, Tesejerague, Ajuy, Playa de Garcey and Sotavento! Make this a journey to remember! 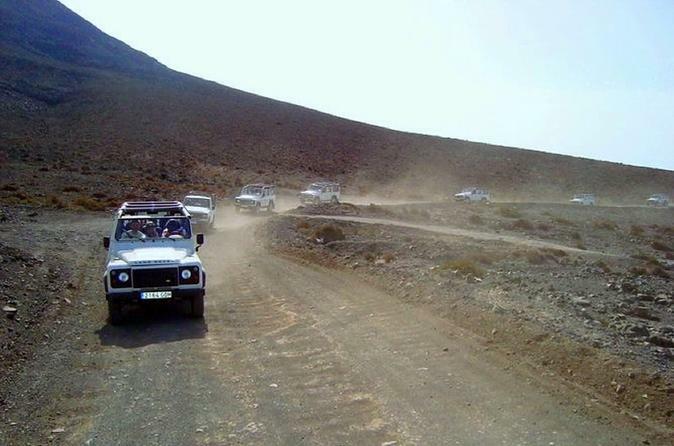 Visit the north of Fuerteventura, from Corralejo to Cotillo with this 4x4 jeep tour driven by your expert local guide. 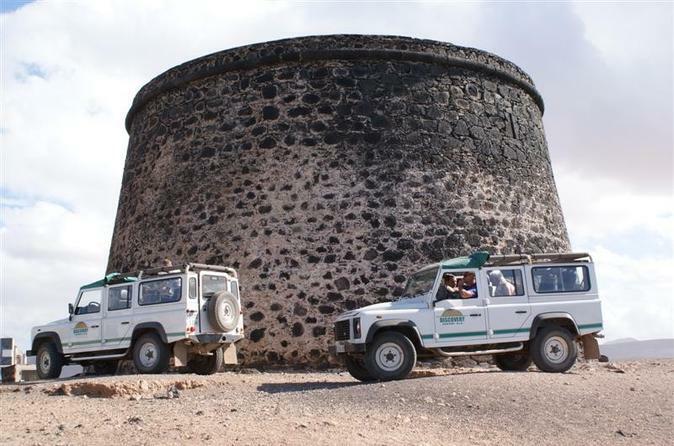 Explore Fuerteaventura's off the road landscapes, as well as famous sights such as the Cotillo Castle, Cotillo Beach and enjoy a traditional canarian lunch. Spectacular 60 km route by buggy to the volcanoes, deserts and beaches of the North of Fuerteventura. 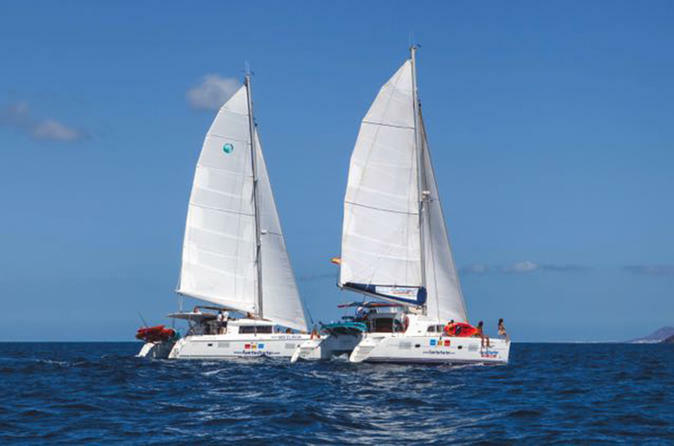 Spend an unforgettable day at sea on this 5-hour Fuerteventura coast excursion on a sailboat. Set sail aboard a traditional Turkish ‘gulet,’ a wooden ship, and explore the island paradise of Fuerteventura. Enjoy a buffet lunch with complimentary drinks while you soak in scenery, sea breeze, and sunshine.